As a registered user, there are some advantages. On the one hand, the premium version of the app can be tested for one month for free. If you log in as a registered user with your account in the app, you can use it immediately and on the other hand, see your personal blacklists. If you negatively comment on numbers, they will immediately be added to your personal blacklist, even though the tellows score would indicate a better rating. The personal blacklist thus works independently of the reviews of other users. It can be seen in your member area, where you can access all your previously reported numbers. You can also see how many phone numbers are on your blacklist. 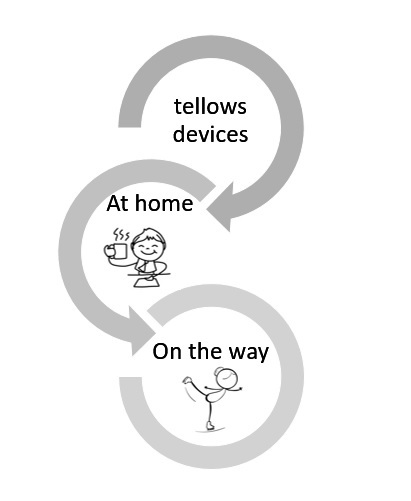 Particularly noteworthy is that the blacklists work also cross-device. 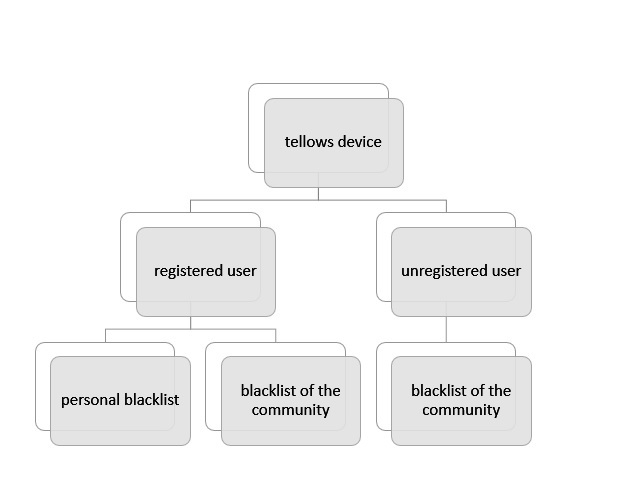 The blacklists can be used with all tellows products, but the personal blacklist can only be used as a registered user. If you want to know more about our products, visit our shop. For owners of a Fritz!Box router it works just the same way. 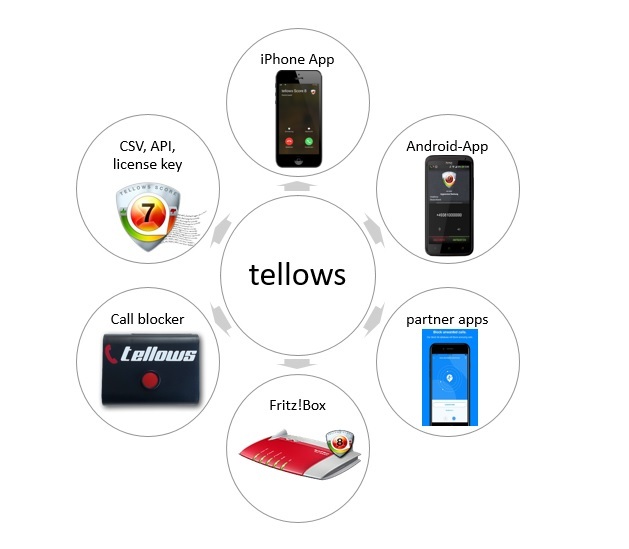 You have the option to use the tellows protection even when making calls on the landline. In order to keep the protection always up to date for the fixed network, the lists can be downloaded and imported indefinitely, including the negatively rated numbers on the blacklist of the community. With our Fritz!Box Scorelist you can import hundreds of phone numbers rated as dubious, so it can warn you from dangerous callers. The scorelist should be downloaded at least once a month, so you make sure to always have the latest version available. 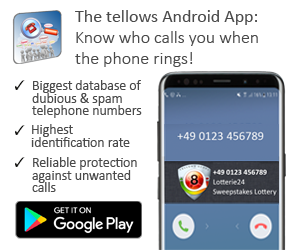 As a phone owner, you have the ability to recognize on landline if the incoming call is phone spam and then decide whether to answer, divert or ignore the call. If you as a registered user, for example, use the Fritz!Box, you have to enter a personal code to retrieve the blacklists and already have the personal blacklist integrated into the community scorelist. 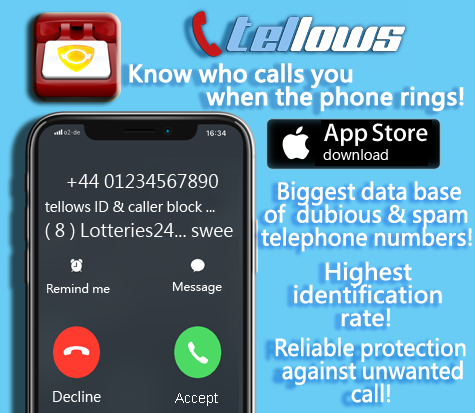 Incoming calls that are on the tellows community blacklist will be displayed and can be blocked by selecting the whole scorelist phone directory to be blocked. Also, as a registered user your comments can not be removed without a thorough review by the tellows team. If the case occurs and we would like to remove your comment, we will contact you. You can also edit your submitted comments as a registered user. As a telephone owner, you should never forget your usual caution so as not to fall into one of the numerous cost traps. So it is worthwhile and has a lot of benefits to register in the community in order to always be optimally protected with the premium version of the app or the purchase of an additional device with the personal blacklist.